Relaxing in your hot tub is one of the best ways to unwind at the end of your working day. With the use of aromatherapy products and hydrotherapy, you can truly indulge and enjoy the hot tub experience that will leave you feeling refreshed and rejuvenated. When it comes to selecting a hot tub it is not as easy as it looks, there are many factors that you need to consider such as functionality, size and colour. The Health Benefits of Hot Tubs Hertfordshire Relaxing in a hot tub is a great way to de-stress and pamper yourself, it can be a luxury way to unwind after a hard day. Hot tubs have become increasingly popular over the last few years. Despite unpredictable British weather, many more people now have a hot tub in their garden.  Once you have purchased your new hot tub, you will be eager to get it set up and running. However, before you have your hot tub delivered and installed, there are a few important things you must do to prepare. Relaxing in a hot tub is the perfect way to unwind and care for your body. With the use of hydrotherapy and aromatherapy products, you can truly experience a luxury way to unwind.